“Sgt. 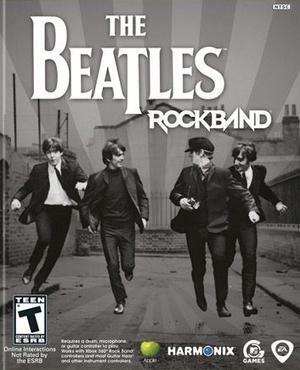 Pepper’s Lonely Hearts Club Band” is the second full album available as a download in its entirety for The Beatles Rock Band since the video game’s launch on 09.09.09. Last month Apple released “Abbey Road” as the first full downloadable album for use in the game. “All You Need Is Love,” the first downloadable track available for the game, has had more than 100,000 downloads to date, with all proceeds benefiting Doctors Without Borders/Médecins Sans Frontières (MSF). With “Sgt. Pepper’s Lonely Hearts Club Band,” “With A Little Help From My Friends,” “Lucy In The Sky With Diamonds,” “Getting Better,” and “Good Morning Good Morning” already included on The Beatles Rock Band game disc, players will now be able to complete the entire Sgt. Pepper’s Lonely Hearts Club Band album. The download is available for Xbox 360 and Wii from Nov. 17 and for PlayStation 3 from Nov. 19. Individual Sgt. Pepper’s Lonely Hearts Club Band singles: “Fixing A Hole,” “She’s Leaving Home,” “Being For The Benefit of Mr. Kite!,” “Within You Without You,” “When I’m Sixty – Four,” “Lovely Rita,” “Sgt. Pepper’s Lonely Hearts Club Band (Reprise)” and “A Day In The Life” are down-loadable as individual tracks. “Rubber Soul” (1965) will be released as downloadable content in December. For the full details and to see a short video featuring songs available in the download visit The Beatles official site. This entry was posted in Beatles, Beatles Collecting, Beatles Music, Beatles Related, Beatles Rock Band, George Harrison, John Lennon, Paul McCartney, Ringo Starr, Uncategorized and tagged Beatles, Beatles Collecting, Beatles Related, Beatles Rock Band, George Harrison, John Lennon, Music, Paul McCartney, Ringo Starr, Rubber Soul, Sgt. Pepper by beatlesblogger. Bookmark the permalink. I will add your email to that page as well so that others who visit can share the information. I might also create a post about the little Girl Scout, your Old Lady, your art, and your involvement in the Sgt Pepper project if that is OK.